For clean trimming edgeband material on edgebanders. 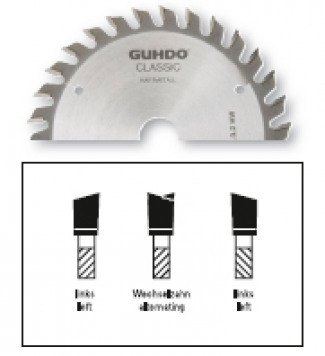 Available from stock are most standard blades for Brandt, SCM, Biesse, IMA, Stefani and HolzHer . Other edgeband saw blades will be added shortly.